WW1 1915 Recruiting Badge Shropshire Light Inf. We purchased a number of items from the family of a Major Bull of the 2nd V.B Kings Shropshire LIght Infantry who retired in 1905 and who it appears then returned to recruiting during WW1 as well as his wife or other relative who was a fever nurse in Walthamstow during the great war-please view the other items to this family. 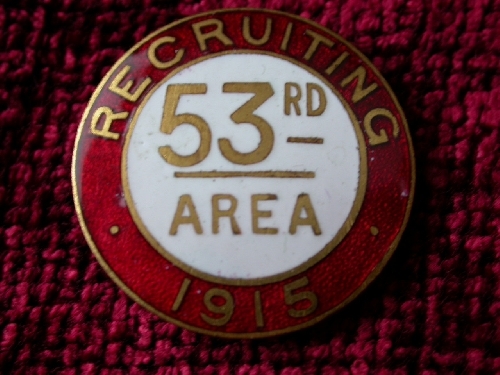 This is a rare 1915 recruiters badge made by Lowe of Chester and enameled in white and red. 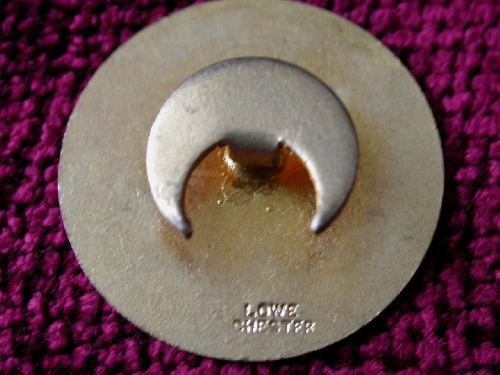 this is a buttonhole badge as denoted by the crescent plate on the reverse-in excellent condition. The 53rd refering to the old regiment of foot number. A nice piece of scarce Great War Militaria from and identifiable local family.